Alice Munro writes and if you are ardent fan, you ensure that you read the book in almost a sitting, cherish it, reread it and only then you feel satiated. This always happens to me when I read a collection of stories by Munro. I have to reread it for solid and sometimes inexplicable reasons. There is no any other way. That is my personal connect with her, as there are other quirks when it comes to reading other writers. However, that is for a later date. 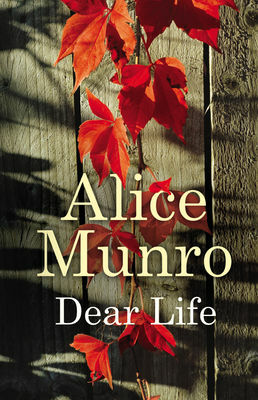 “Dear Life” is the new book by Alice Munro. Munro writes of people, emotions, and links what is familiar to her – the Canadian terrain, which almost becomes the core of each story. She captures the essence of life, the daily humdrum of living, and what it is to be human and make your mistakes over and over again. “Dear Life” is a collection of ten stories and four autobiographical pieces, that center on Munro’s childhood. The others are written in typical Munro style – not giving away too much and at the same time letting the reader know exactly how much is needed to get into the thick of the story. A poetess in an unknown territory, who wants more from her life eventually and decisions are made for her. A soldier who is on his way home to his fiancée steps off the train before his stop, only to find himself in love with another woman. A woman grieves over the past and its consequences. The four autobiographical pieces were the ones that stayed with me the longest. I guess that was maybe because they were written with a little more emotion than the others. According to me, Alice Munro’s craft is unlike the rest who fall in the category of the short story. Her writing is sometimes with heavy weight attached to it and then at others there is this lightness to it, which makes you wonder about how she does it so effortlessly (or so it seems). Stories are formed. Stories are told. The writer needs to be strong enough to do that. Alice Munro is a storyteller par genius. She knows exactly when to write what word, which emotion fits in what context and what should the characters do or not do. Her stories are almost like watching a concert – they reveal themselves bit by bit, sound by sound and word by word. That is precisely why you must read, “Dear Life”. This entry was posted in Books, Chatto and Windus, random house, Random House UK, Review, short stories and tagged Alice Munro, canada, Canadian Fiction, Chatto and Windus, Dear Life, Random House UK, short stories on October 31, 2012 by thehungryreader. When I received the uncorrected proof of, “Little Known Facts” I did not look at it for a long time before deciding to pick it up and give it a read. 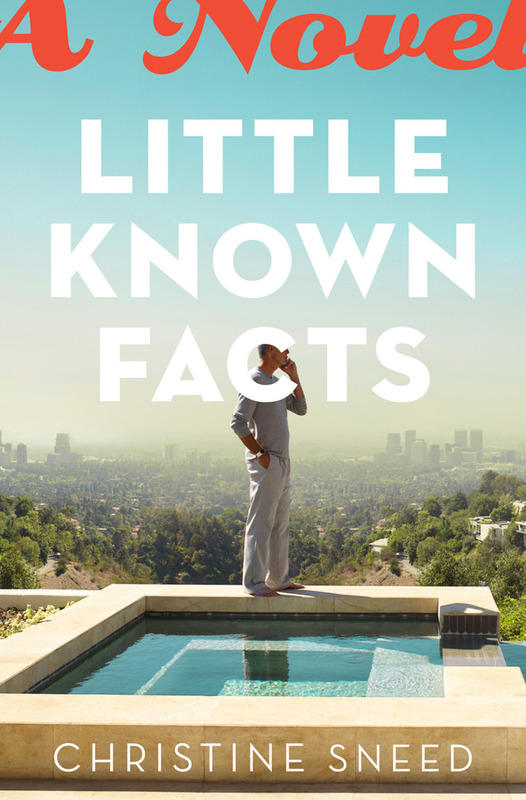 “Little Known Facts” is all about the glamour and the glitz of Hollywood and what lies underneath all of that, through one Hollywood family. I have always wondered about the lives of stars and sometimes starlets as well. Thoughts that cross the mind are: What kind of lives do their families live? Are they always in the shadow of the star and what he or she does? Do they have an existence of their own? Are they also surrounded by the media at all times? This to me holds true across the world, when it comes to the entertainment industry. “Little Known Facts” is all about that. It may not provide answers to all questions but it most certainly is a great romp of a read. Renn Ivins is one of Hollywood’s most handsome, charismatic, and critically-acclaimed movie stars. He is what they say, “the golden child” (this is purely my perception) and delivers and lives up to that title. He has it all – the ex-wives, the girlfriends and the children. He is doing what a celebrity should and yet there is a side of the man that only his family knows and endures and sometimes also revel in it. Renn’s grown children, Anna and Will are struggling in their lives, trying to do something on their own, than just being a version of their father. Anna, a medical student is prospering with her academics and has a bright future ahead of her. On the other hand, her personal life and relationships are marred by the exploits of her famous father. Will on the other hand is facing a so-called quarter-life crisis and does not know what to do with his life. They are both willing to use their father’s money but not his influence. Amidst all this Sneed tells a tale of fame and fortune, its rise and downfall and the people involved in its web and how they deal with it on a daily basis. The book for me had almost everything in most places – wit, empathy, curiosity, and how people behave in front of celebrities and what do they say about them. The story also is about the lies we tell ourselves and how the shadow of a celebrity is so huge that it sometimes takes over an entire family and its existence. The writing is to the dot with an eye for detail, which is the firm premise of the book. Every emotion and the nuance attached with it are beautifully depicted and at the same time the writing is not overbearing. What I liked the most about the book is the fact that there are a lot of layers to it. “Little Known Facts” is one of those reads that will take you in from the first page and make you keep turning the pages with great speed. I may not re-read it but would definitely recommend it as a onetime read. This entry was posted in Bloomsbury USA, Books, Literary Fiction, Review and tagged bloomsbury usa, celebrity, Christine Sneed, fame, hollywood, literary fiction, Little Known Facts, Stardom on October 24, 2012 by thehungryreader. 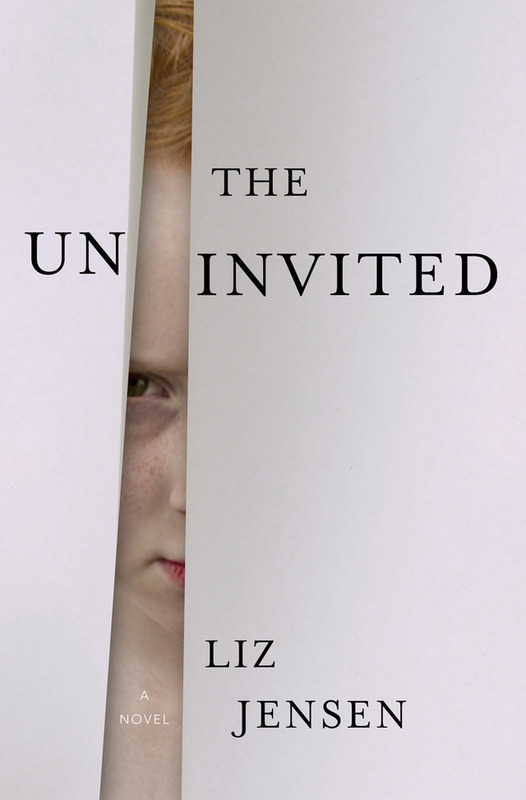 “The Uninvited” by Liz Jensen was a strange read to begin with. However, as I finished the prologue and the first chapter, I was hooked to it and that is the idea of the book anyway. At the start of the book, a seven-year old puts a nail gun to her grandmother’s neck and fires. Similar incidents start happening across the world. Children are killing their families. The question that people are asking is: Is this contagious? No one is aware why this is happening and as usual things are in disarray, almost to the point of being ruled by children or so it seems. As the murders continue, anthropologist Hesketh Lock has his own mystery to take care of, a scandal in the Taiwan timber industry, which ultimately leads to a murder and Lock gets involved in the “murderous children” incidents. He notices a behavioural change in his stepson Freddy and that is where his mind starts taking notice of things, which others wouldn’t notice. Lock suffers from Asperger’s syndrome and this makes it even more difficult for him. This is the plot in a nutshell. I liked how Liz Jensen makes the book seem so effortless despite the harrowing scenes of murder and unexplained violence. It is scary to see children act this way, but at some point the dystopian nightmare is global and her writing gives you the understated trauma that family members are going through in the book. The book is definitely not an upbeat one and is perfect for one of those cold nights when you actually want to get scared. Hesketh’s character is etched to perfection. From the standpoint of a father who doesn’t want to give up on his child and also from that of a citizen who wants the so-called common good. The conflicting emotions were brought out to forth without the book getting too soppy or sentimental. All in all Liz Jensen paints a picture of the world that could be true and that frightens me. Of children doing what they want and what they choose to can’t be controlled by anyone. Liz Jensen gives it all to you in one book – mystery, thriller, an apocalyptic nightmare and above all an intriguing story to chew on. This entry was posted in Bloomsbury USA, Books, Fiction, Mystery, Review and tagged bloomsbury usa, Dystopian, Liz Jensen, mystery, The Uninvited on October 20, 2012 by thehungryreader. I have always enjoyed reading Zadie Smith’s books. They are complex and yet charming. At the same time, they leave you with lingering thoughts about the societies we live in and the nature of humans. I remember not enjoying, “White Teeth” the first time I read it. However, when I did read it the second time, I was captivated by her style of writing. The same happened with, “The Autograph Man”. I loved, “On Beauty” and her collection of essays, “Changing My Mind”. Now to her latest offering: NW. “NW” – refers to North West London. The story revolves around its residents. The book is about their loves, sorrows, hypocrisies, ambitions, facades, prejudices and fears. The novel is about the four central characters on different rungs of the moralistic and social ladder. Each character is a world of their own in the book and that is what makes this book special and intriguing. This is perhaps Smith’s shortest book and yet with so many layers to it – almost like a Russian Doll, that never ceases to amaze you. Leah Hanwell is married to an African named Michel. She has a troubled marriage and shares a love/hate relationship with her husband. There is then her friend Natalie (formerly known as Keisha), who is trying to grapple with her present and stick on to the past in the form of Leah. Nathan, Leah’s childhood friend is the third major character who is a weed-smoking, almost jobless wastrel. He feels that Leah and he are now worlds apart and cannot connect anymore. Felix Cooper is the fourth major character of the book who craves for a better life than the one he is leading right now. Their lives converge and that takes the book forward. What appealed to me the most about the book besides the plot was the writing and the way the characters were sketched. The characters are real. They are not sentimental or emotional. They are human and display emotions in an understated manner. The writing is unconventional and fragmented and maybe it is not everyone’s cup of tea, but it definitely worked for me. 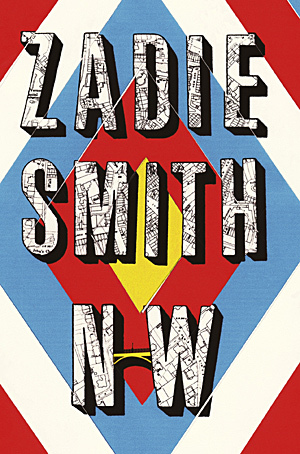 “NW” has been written by Smith after seven long years. The story when looked at it from that perspective almost seems fresh and that I attribute only to her writing, which is razor-sharp, taut and amusing at most times. “NW” is all about people trying to make sense of their lives, when directionless and sometimes lost on hope. There is a lot going on in the book and at the same time, Zadie Smith allows you to take it all in and rest a little with your thoughts and emotions. It was a cracker of a read for me this year and I will definitely re-read it sometime later. This entry was posted in Books, Hamish Hamilton, Literary Fiction, Penguin Books, Penguin UK, Review and tagged hamish hamilton, literary fiction, london, NW, On Beauty, penguin books, The Autograph Man, White Teeth, Zadie Smith on October 18, 2012 by thehungryreader. I am normally not a fan of Booker Long List of Short List nominations. I tend to find them boring to get by and honestly do not see the fuss made around them sometimes. However, when I started reading one of this year’s shortlisted books, I began to see the light, at least for that book. “Swimming Home” by Deborah Levy is an outstanding nominee for this year’s much awaited literary prize. It did not take me long to finish the book, however I am still thinking of the book and the characters, so definitely the impact that it’s had is huge. “Swimming Home” is a powerful, almost offbeat book about the impact of an outsider has on the relationship of two couples, who are sharing a vacation home in the Alps-Maritimes. The idea that presents itself strongly in the book is sense of home, love and most of all whether or not one will make it back home, more so in the metaphoric sense. London poet Joe Jacobs, his war reporter wife Isabel and their fourteen year old daughter Nina, are renting a holiday villa near Nice with friends, Laura and Mitchell. One day they discover a naked woman swimming in their pool. She has nowhere to stay and Isabel inexplicably offers her the spare room. And thus Kitty Finch becomes a part of their vacation – bordering on the line of being invited and intruding. At the same time there are minor characters that add to the substance of the book – their neighbour Dr. Madeleine Sheridan who is vexed by Kitty’s arrival, Claude – the local pub worker who has taken a liking to Nina, and the caretaker who is besotted with Kitty. Kitty is enigmatic – in the sense that she walks around naked, is off her antidepressants and considers Joe to be one of the greatest living poets. She wants him to read her poem, “Swimming Home” – she feels that she has a connection with Joe. The reader on the other hand is left wondering about Kitty’s so-called seemingly love or obsession with the poet. Joe tries to avoid her but cannot. Nina is in awe of Kitty and wants to understand her more than anyone else. Laura and Mitchell do not like her presence. Isabel on the other hand, somehow is indifferent to her presence, fully aware of her husband’s attraction to Kitty. Nina on the other hand emerges to be the sanest and sorted character in the entire book. The book plays itself out on so many levels. At times you are scared for the characters and what might happen and at others you want them to not care and life to play itself out. Readers can only wish how they would like the story to end, but at the end of the day, I strongly believe that characters decide what they want. Deborah Levy uses the setting brilliantly. I am sure any writer would, but she plays with it, moulds it like clay and places her characters skillfully in it. She answers some questions that nag readers, some she leaves for their speculation and others aren’t answered at all. Questions such as: Why did Isabel invite Kitty to stay? Why is Joe hesitant to discuss Kitty’s poem? Why does Isabel stay with Joe considering she is never home, given the nature of her job? Why is Nina the way she is? The book is so tightly woven, that the answers are found and sometimes not throughout this one hundred and fifty-seven page of a read. The startling intimacy between characters is scary sometimes and yet it is almost that the intimacy decides who ends up with whom. Natures are revealed during the course of the book and every character encounters his or her chaos. Everyone is searching for their own space and whether they get it or not is the haunting question. With this, the characters learn how to cope. Some grow up and some are forever trying to deal with their tragedies. Everyone is trying to know themselves and the others and somehow cannot. The prose of the book is haunting and will keep you hooked. For a short book, it clearly speaks volumes of the human condition. I definitely would like to see, “Swimming Home” win the Booker Prize. 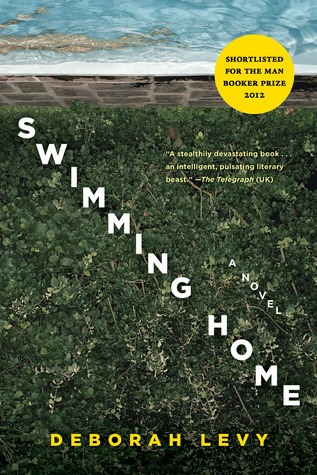 This entry was posted in Bloomsbury USA, Booker Prize, Books, Literary Fiction, Review and tagged bloomsbury usa, Booker Prize 2012, Deborah Levy, literary fiction, Swimming Home on October 15, 2012 by thehungryreader.